After trailing by four points heading into the fourth quarter, 54-50, the USA Men's World Cup Qualifying Team (8-2), behind eight points apiece from Scotty Hopson (Oklahoma City Blue) and Travis Trice (Wisconsin Herd), outscored host Uruguay (6-4) 28-16 in the fourth quarter to claim a 78-70 victory and a berth in the 2019 FIBA World Cup. "Defensively we were great. 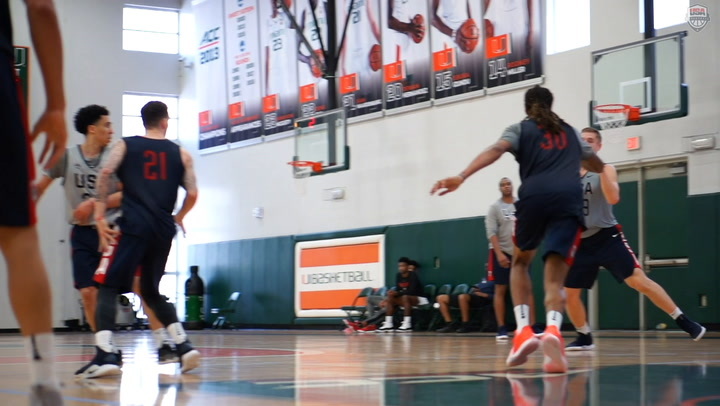 We were down 61-54 and things going not well for us – ejections, losses of poise, and then we defended well and made some big shots, some big 3s," said USA head coach Jeff Van Gundy. “Eric Moreland was terrific tonight." Trice led the way for the USA overall with 17 points to go with five rebounds and four assists; John Jenkins (Westcheser Knicks) scored 13 points; Hopkins, who went 7-of-8 from the line, including 6-of-6 in the final stanza, added 10 points; free agent Eric Moreland contributed a double-double of 10 points and a game-high 13 caroms; while Chasson Randle (Capital City Go-Go) also chipped in 10 points. Early in the fourth period, Uruguay pulled ahead 64-56 for its largest lead of the game after knocking down its 12th 3-pointer at 5:50. Back-to-back baskets by the USA helped pull the red, white and blue back to within four points with five minutes to play. Uruguay made the first of two from the line with 4:09 to play and led 65-60. However, the USA's defense held Uruguay scoreless for more than three minutes, while scoring 12-consecutive points. Trice drew a foul and made both his attempts to kick-off the run. Trice followed that with a jumper, and then Hopson stepped to the line and swished both tries to put the U.S. in the lead for good, 66-65. The USA, which made eight 3-pointers on the night, hit a pair of 3s in a 39-second span, and with 1:17 to play, held a 72-65 lead. 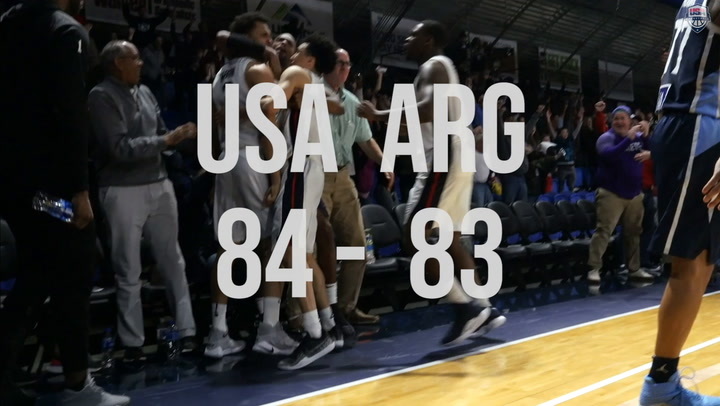 Over the final 43 seconds Uruguay hit a pair of free throws and its final 3 of the game, while the USA closed out the game hitting 6-of-6 from the line for the 78-70 win and World Cup berth. The USA opened the game on a 7-2 spurt, and held a 22-17 lead at the end of the first quarter. The second quarter, won by Uruguay 23-17, see-sawed, and the hosts scored the half's final points to take a 40-39 edge heading into the locker room. In the first half, Uruguay kept things close by shooting 53.3 percent (8-15 3pt FGs) from beyond the arc, compared to a frigid 23.8 percent (3-13 2pt FGs) from inside the line. In the third quarter, the USA managed to knot the game at 46-apiece, but its offense wasn't able to get going as Uruguay outscored the USA 14-11 in the third stanza. 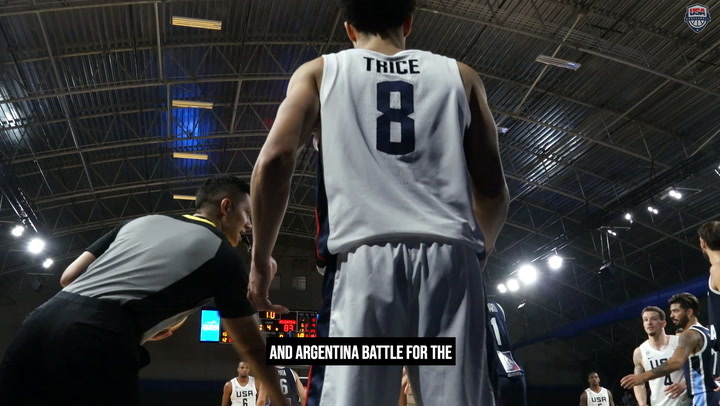 In the end, however, the USA's inside game, which outscored Uruguay 22-14 in the paint; its transition game, which earned 26 points off of 18 turnovers; as well as its bench, which outscored Uruguay's subs 36-22, were too much for Uruguay to overcome, despite the hosts shooting 43.3 percent (13-30 3pt FGs) from 3-point on the night. The USA, which held a 41-38 rebounding edge, finished the night shooting 42.2 percent (27-64 FGs) from the field and 36.4 percent (8-22 3pt FGs) from afar. 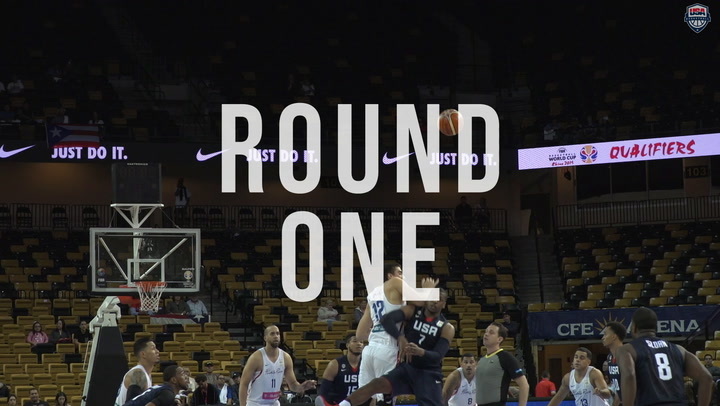 In other second-round Group E action Sunday, Puerto Rico (6-4) edged Panama (4-6) 71-70, and Argentina (8-1) takes on Mexico (3-6) in the night's final game. 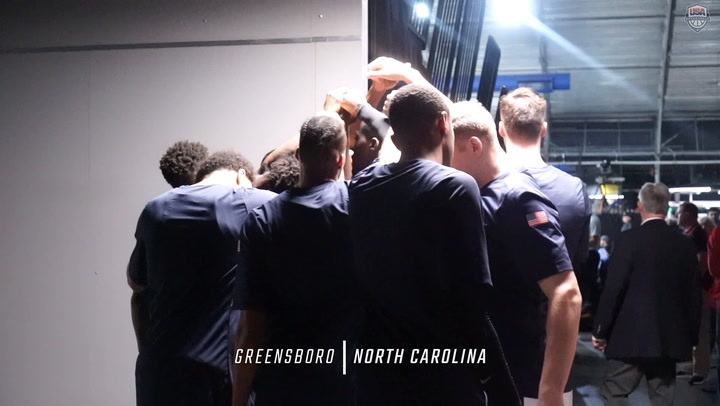 The USA closes out its FIBA World Cup qualifying schedule with a two-game home stand at Greensboro, North Carolina, against Panama on Feb. 22 and Argentina on Feb. 25. Following completion of the first round, the top three finishing teams in each of the four, first-round groups advanced with their overall records to the second round. The three advancing teams from Group A, Argentina, Uruguay and Panama, and the top three finishers from Group C, USA, Puerto Rico and Mexico, formed Group E. The top three finishers from Group B, and Group D formed Group F. The three second-round windows of competition will take place Sept. 13-17, 2018; Nov. 29-Dec. 3, 2018; and Feb. 21-25, 2019. Following completion of the third and final FIBA Americas second-round window that is Feb. 21-25, 2019, seven teams will qualify out of the zone for the 2019 FIBA World Cup, including the top three finishing teams from second-round Group E and in Group F, and the best fourth placed team between Group E and Group F.
Under FIBA’s new competition system, a total of 80 national teamsfrom FIBA’s four regions of Africa, Americas, Asia (which now includes Oceania) and Europe are competing in the FIBA Basketball World Cup 2019 Qualifiers over 15 months looking to earn a qualifying berth in the 32-team 2019 FIBA Basketball World Cup competition that will be held Aug. 31-Sept. 15 in China.